Adeline was saved at auction. She was a terrified and very scarred mare who definitely needed some feeding up. 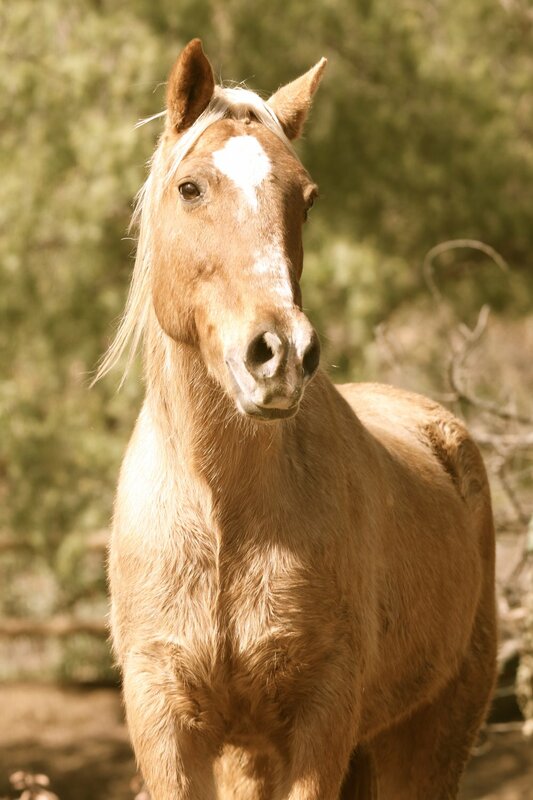 She is covered in cuts and scrapes and was most likely used as a tripping horse or was just plain abused. Adeline came in with some other horses with a well known horse flipped and one of the other horses she was with had a face covered with cigarette burns so God knows what awful abuse these beautiful horses had suffered before they were rescued. Adeline was sent to quarantine and we agreed to take her and Anselm Little Boy. They are now living the big life in Oregon and share a large pen with the mini mules Bonnie and Clyde. She is handled daily and is losing her fear and learning to trust again. She is one gorgeous mustang.